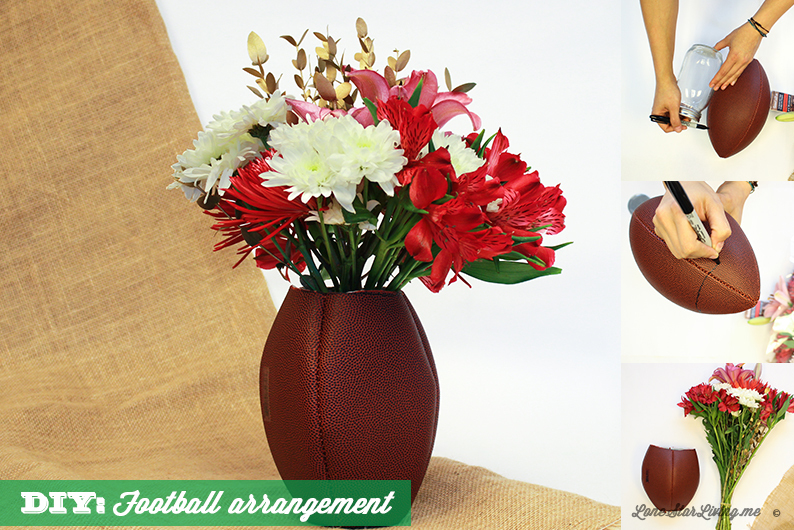 Quick Tip: If you don’t have an old football you can get one in a thrift store or yard sale. 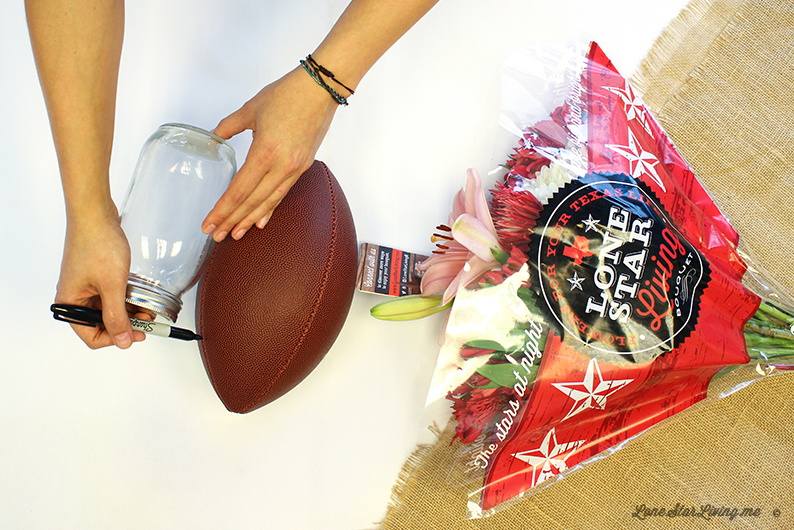 Place your vase or mason jar against the football to measure where you are going to cut. Make sure the bottom of the mason is 2 inches above the other tip of the football. Mark it with a sharpie all the way around the football. Here is the fun part, pop a hole where the line starts. Make sure to make the hole big enough to fit your scissors. Then cut along the line all the way around the football. 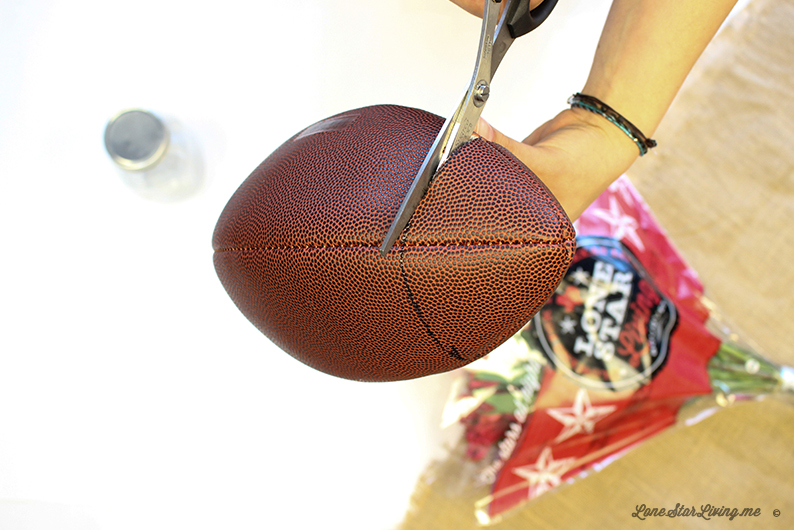 I know it is painful to cut into an old football, but by upcylcing your putting it back in the game. Have you ever seen inside of a football?! 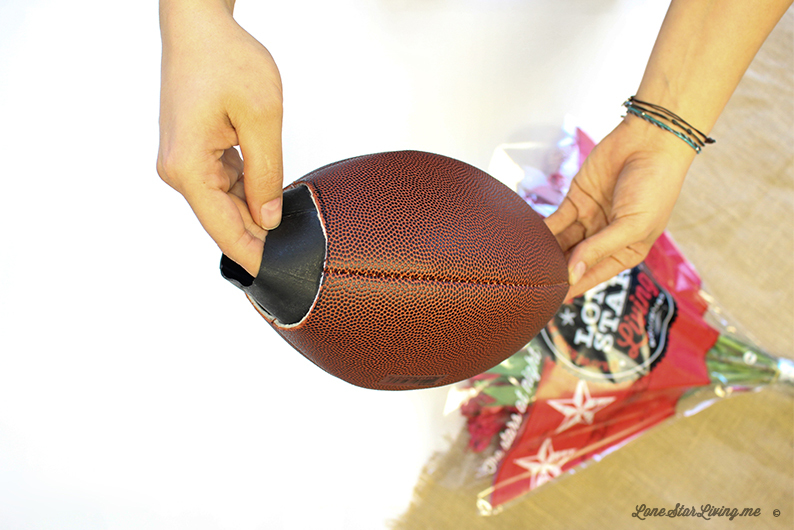 Now you will, make sure to pull out anything that is inside the football. Mine had a black balloon. 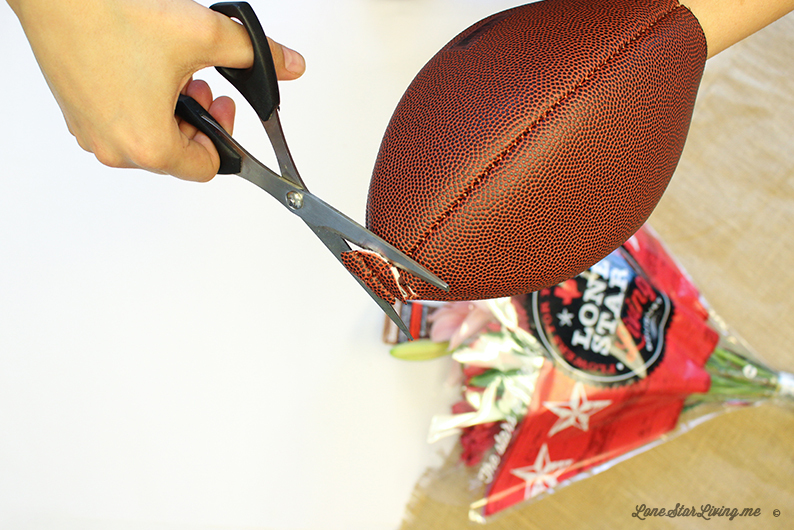 Flip the football upside down and cut two inches off the other tip. 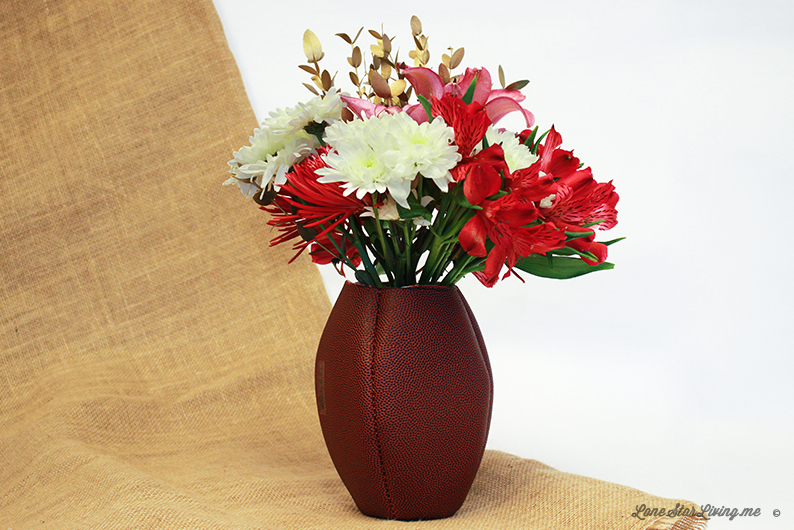 Flatten out the bottom by placing the vase or mason jar inside with water. 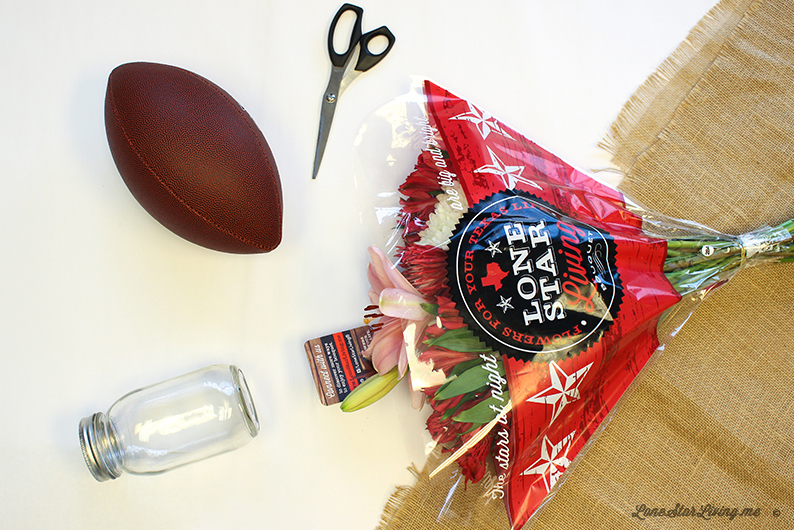 Did you like this Super Bowl Party DIY? Let us know, share below.